She Drew The Gun will be performing at the BBC 6Music Festival in Liverpool on March 29th (at Eventim Olympia with Anna Calvi), and they have been confirmed for Latitude, Tramlines, Bluedot, Truck, Farmfest and Deer Shed festivals. 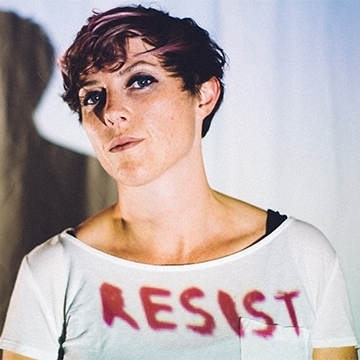 Led by frontwoman and songwriter Louisa Roach, She Drew The Gun recently released new single 'Paradise', available digitally now and impacting at radio on 26th April. ‘Paradise’ is the third single to be taken from sophomore album 'Revolution Of Mind' following the BBC 6Music A-Listed tracks ‘Resister’ and ‘Something For The Pain’. Produced by The Coral’s James Skelly at Liverpool’s Parr Street Studios. The album was chosen as a 6Music Recommends Album Of The Year 2018 alongside albums from IDLES, Kamasi Washington, and Arctic Monkeys among others.